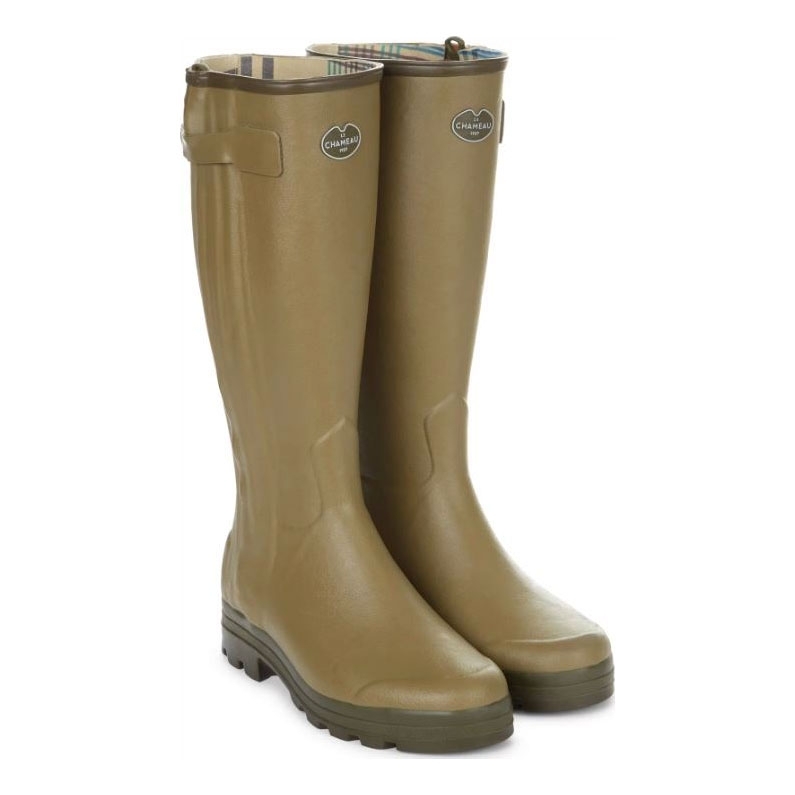 Le Chameau Chasseur Jersey Wellingtons. The iconic Chasseur, a handcrafted zip boot, is instantly recognisable and is now available for the first time in a poly-cotton lined version. Available in a choice of calf fittings for an almost bespoke fit. Kevlar reinforcement to the front for extra protection against abrasion, waterproof Riri Aquazip and snap button for fastening. The tartan patterned poly-cotton lining is durable and fast-drying and the shock-absorbing, insulating, all-terrain outsole has a reinforced shank for better arch support. 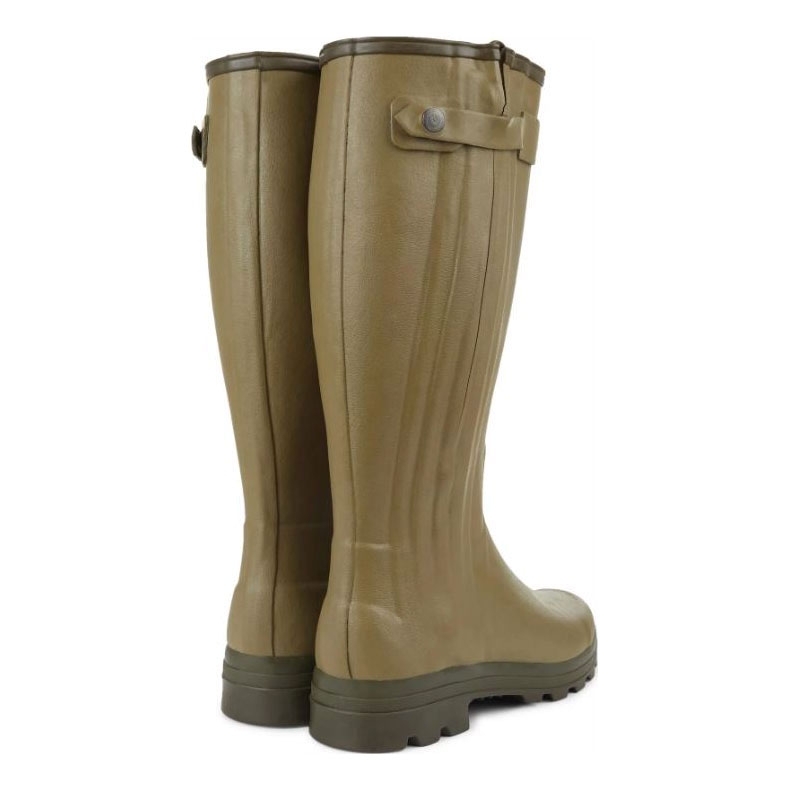 In 1970 Le Chameau introduced a boot that was to become a legend in the field. Created by Le Chameau master of design Marc Longuet with the “hunter” in mind, our iconic Chasseur boot was the first rubber boot to have a waterproof full length zip. Handcrafted exclusively by one single master boot maker, after a long and rigorous apprenticeship, each Chasseur boot is a unique creation, made with precision, craftsmanship and assembly techniques handed down from generation to generation. Fully lined in full-grain leather for all-year round comfort and durability. 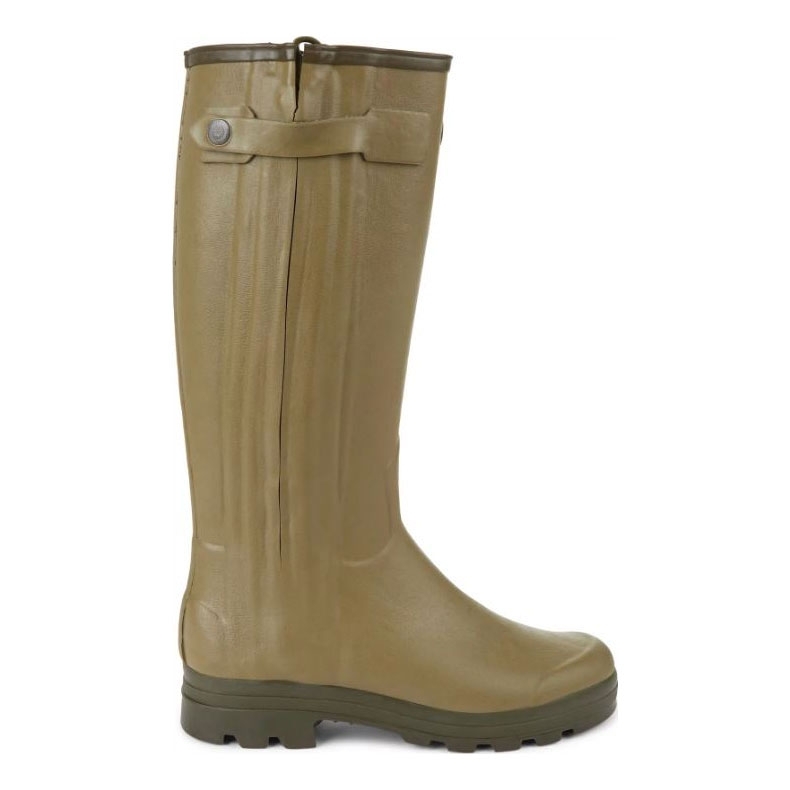 The watertight full-length heavy-duty side zip with press stud tightening strap makes Chasseur easy to put on and take off. Available in 8 different calf sizes for a virtually bespoke fit. DuPont™ Kevlar® fibers are used in the natural rubber mix to reinforce the forefoot areas, improving tear and abrasion resistance and performance in harsh terrain. 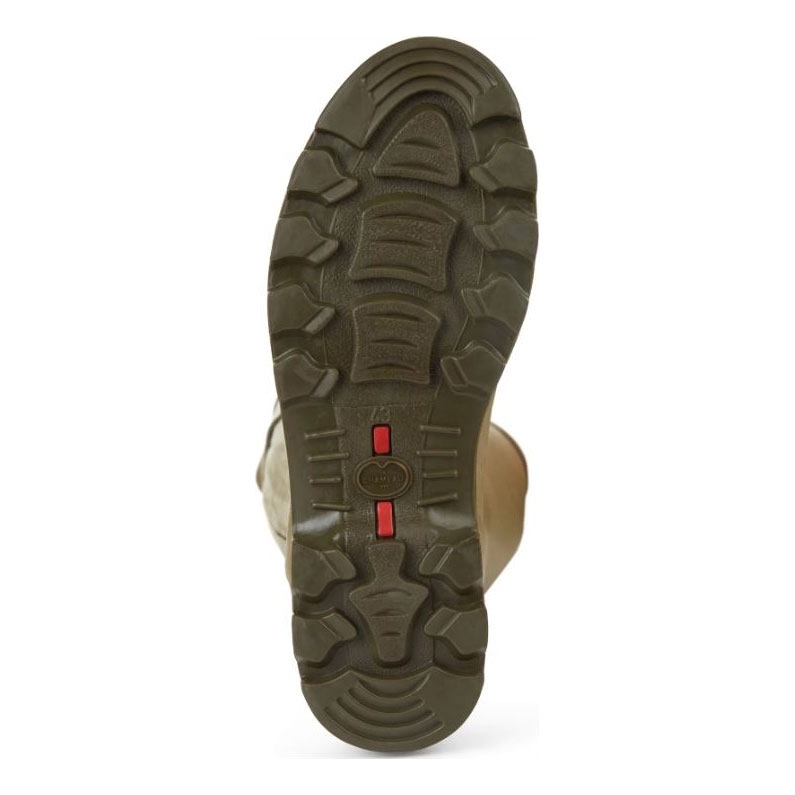 The abrasion-resistant Grip outsole offers sure-footed traction on uneven, slippery, muddy and soft terrain. The dual-density Grip sole absorbs shock and features a shank reinforcement board for better stability and anti-fatigue arch support. The quick-drying removable leather insoles cushion the foot and provides additional insulation.